With an impact driver, you’ll never have to put your work on hold while you look for other tools to help you get the job done. They offer a massive amount of torque that will handle just about anything. Whether you’re a contractor, a mechanic, a carpenter and an electrician or just do other handyman tasks around your house, and you would benefit from having an impact driver. You may not use it every day, but when you need it, you will definitely be glad that you have it. But buying a new impact driver could be a daunting task once you realize how many brands and models there are. This guide is designed to help you narrow down your options so you can select the best tool for you. Can You Replace Your Other Drills? It's important also to note that you shouldn't get rid of your other drills and expect the impact driver to take care of all of your jobs. Sometimes drills are simply more convenient when you are drilling holes and fasteners where you don't need a lot of power. But if you're installing cabinets, building furniture, framing or building a deck, then an impact driver will quickly become your best friend. Impact drivers are also generally more compact in design than traditional drills. This design allows you to reach some of the toughest places in order to get the job done. Most drills are longer and larger, so they don't have the ability to work in the hard-to-reach areas. Alternatively, some jobs are just better designed for cordless drills rather than impact drivers. There’s no need for a lot of power and torque when you just have some small screws to take out of a door hinge or other small furniture. Not only is it unnecessary, but you could also hurt yourself because of the amount of torque that the impact driver exerts. 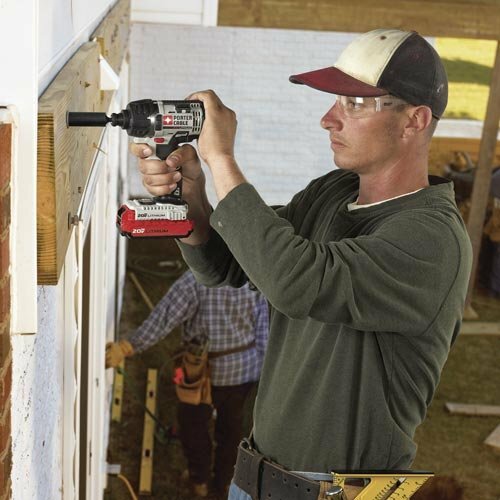 Keep your cordless drills in your shop for those types of projects, but the impact driver should definitely your top choice when you have projects that need a lot of power and torque. One thing you have to understand is that there is a difference between an impact driver and an impact wrench. I﻿mpact wrenches are generally larger and heavier, but they are also more powerful than an impact driver. Most of them are powered ﻿﻿by air pressure, but some are electric as well. They are not nearly as convenient and as versatile as impact drivers, which is why many homeowners don’t own an impact wrench. They are simply too powerful unless you are a mechanic or do a lot of heavier work frequently. There are plenty of uses for impact wrenches, but the average person will be just fine with only having an impact driver. When you’re considering buying an impact driver, it will make sense to purchase the one that best suits you. Buying the proper impact driver means you will probably find multiple uses for it, and it will make your job much easier. It’s also important to consider whether you need an impact driver or just a standard drill. Drills many times will get the job done, but when you need a little extra power, an impact driver is a way to go. Impact drivers are more powerful because of the initial force that they exert. If you’ve ever had a stubborn screw that wouldn’t come out, you may have stripped it with a regular drill. With the high initial force of the impact driver, you will greatly reduce the chances of stripping the screw and the screw will likely be removed much more easily. When you’re shopping for an impact driver, you will realize that there are a lot of different brands and models on the market. You don’t want to get a cheap one, but you also don’t want to pay more than you need to. The impact driver brand makes a difference, and we’ve listed out some of the best brands available for you. We have narrowed down the 10 best impact drivers that you should consider, and give you some information about each of them to help you make the decision that’s right for you. DeWalt has been showing the burst of energy in the past couple of years producing top class new cordless tools. The new ﻿﻿20V DCF887B﻿﻿ cordless impact driver that DeWalt has released as an upgrade to the DCF886, features enhanced performance overall. This brushless model labeled as DCF887 looks fairly identical to its predecessor, but employs few changes. The DCF887 comes up with an application control, which is achieved through 3 different transmission settings that give users more flexibility and allows them to select the speed and torque they would like to depend on the application. There is a significant improvement in twisting power or torque. It has now reached up to the max value of 1825 in-lb. The DCF887’s motor is able to generate speeds up to 3250 rpm with 3600 impacts per minute that makes sense why gearbox is added in this model; to avoid over torque and stripping the small fasteners. If you need to do some serious precision work, go ahead and put it in first gear which puts out up to 1000rpm and 240in-lb torque. The second and third gears range between 2800rpm and 3250rpm with higher outputs of torque. You can work with deck screws and even loose lug nuts without any trouble. If you need to work in tight spaces, you may appreciate the compact design of DCF887. It measures 5.3 inches front to back. Comparing size with DCF886, not a considerable improvement in compactness but still appreciating. On the contrary, the chuck on the DCF887 is ¼” hex c﻿huck, so you are limited to bits with hex shanks. But changing bits is quite easy and can even be accomplished with one hand only. Overall, this driver is awesome. It offers several distinct advantages over its predecessor and competitors. 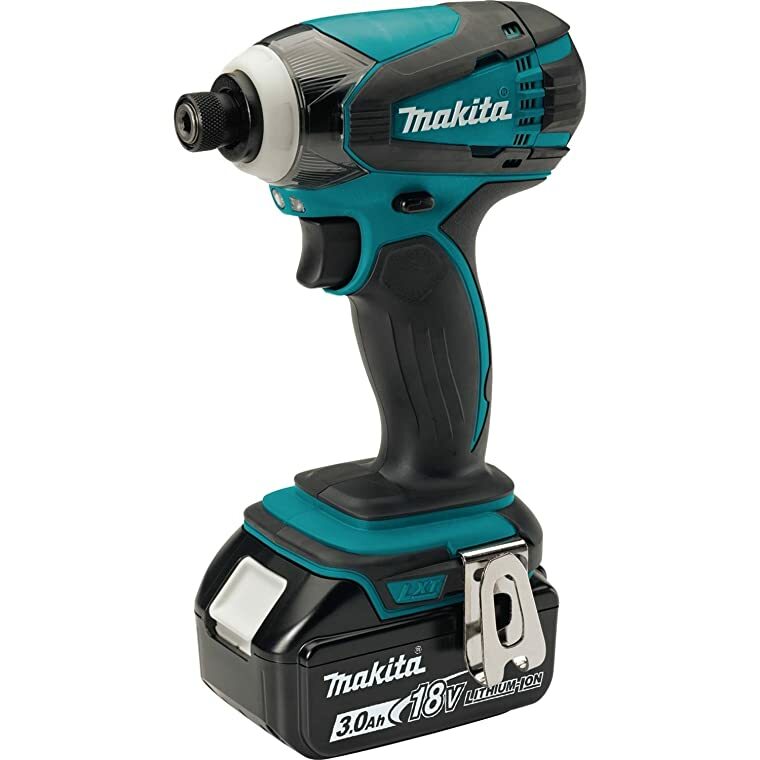 If you’re looking for an impact driver that won’t break the bank, but still gives you the power that you need to complete weekend jobs around the house, then you need to consider the Makita XDT111 Cordless Impact Driver Kit. You will be surprised at the amount of power that this compact driver can provide, and you’ll likely want to find new projects just so you can use it more. It delivers a variable speed of up to 2,900 RPM & 3,500 IPM, and the Makita 4-pole motor gives you about 1,460 inch-pounds of max torque (with 4-brush design delivers 26% more RPM without decreasing torque). But what a lot of people really like about this impact driver is the size. It weighs a little over 3.9-pounds when the battery is installed, and it is just more than 5-3/8” long. The convenient one-touch ¼” hex chuck is nice when you need to change out bits quickly and easily. When you compare these features to other impact drivers, the Makita XDT111 Impact Driver isn’t quite as strong as many of more expensive models. However, it is one of the most reliable impact drivers that you can find on the market. The compact size that it offers is one of the main selling points. What it lacks in power is gained by the small spaces that it can fit. Those hard-to-reach places aren’t as hard when you have this impact driver! Even though the power of this 18V impact driver is exceptional, you still have to realize that it isn’t quite as powerful as many of the other impact drivers that are available. Still, this impact driver is capable of driving longer screws with ease and doing other driving and fastening tasks. It is actually the perfect power for people who don’t do a lot of big jobs but want to have an impact driver for the occasional job that’s too tough for a standard cordless drill. You can use this impact driver for a lot of household and woodshop work as a recreational handyman, but even professionals and contractors could benefit from having it. Don’t let the size fool you…the ﻿﻿﻿Makita XDT111 Cordless Impact Driver Kit is a real workhorse, and you can’t beat the value you receive in return for the price. Anyone who does do-it-yourself projects around the house or even people who do some professional work would benefit from having the Porter-Cable PCCK640LB Lithium Ion Impact Driver Kit in their collection of tools. 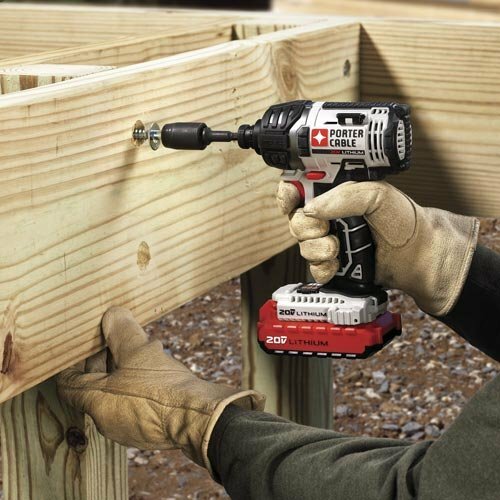 This handy impact driver can handle anything from building a deck, installing drywall, HVAC ducts or assembling furniture with desk screws. When you buy this impact driver kit, you will enjoy a variable speed transmission of up to 2,900 RPM and a motor with a high torque that produces up to 1,450 inch-pounds. The lightweight and compact design allows users to reach easily spaces that are typically hard to get. The two 20V Lithium-ion batteries will provide you with a long-lasting product that will get the job done no matter how long it takes. If you have to bore some large holes, or if you just have some really stubborn screws or bolts, then this impact driver will be your tool that you reach for first. The great thing about this impact driver is that it’s lightweight, so you won’t have to worry about getting fatigued as easily before you complete the job. The battery life is pretty good, but you probably won’t be able to use it continuously all day long without having to switch to the backup battery. 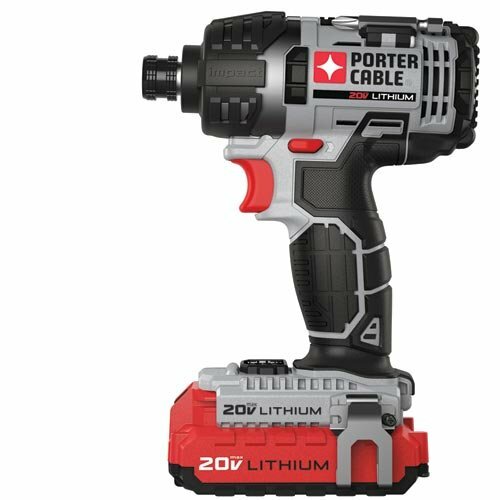 For the price that you will pay for the Porter-Cable PCCK640LB﻿﻿﻿﻿﻿﻿ Lithium Ion Impact Driver Kit , you get a lot of the same features and raw power that you would get in other more expensive models. Recreational workers and professionals alike will appreciate the power and quality of this impact driver that make it a necessary addition to your collection of power tools. This impact driver combo kit is a professional’s dream! There aren’t many things that this product can’t do, and it’s perfect for doing things like installing siding, decking, roofing and any other similar jobs. 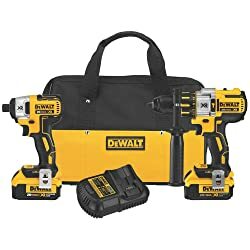 Most professionals and contractors love the Dewalt DCK296M2 Impact Driver Combo Kit, but the casual handyman would benefit from owning one too. The highlights of this product include the DCD995 hammer drill and the DCF886 impact driver. With the DCD995 hammer drill, you are getting a ½” hammer drill with three speeds, up to 2,000 RPM and up to 34,000 BPM. The all-metal transmission allows you to improve the run time and get jobs done more quickly.The DCF886 impact driver weighs less than 4-pounds and it compact enough to fit into tight spaces. The variable speed provides up to 1,500 inch-pounds of maximum torque, up to 2,800 RPM of variable speed and up to 3,200 impacts per minute. It also includes the new XR Lithium-ion batteries that will last up to 33% longer than standard batteries. If that's not sufficient, then the brushless motor will also give you more than 50% more run time over other brushed motors! 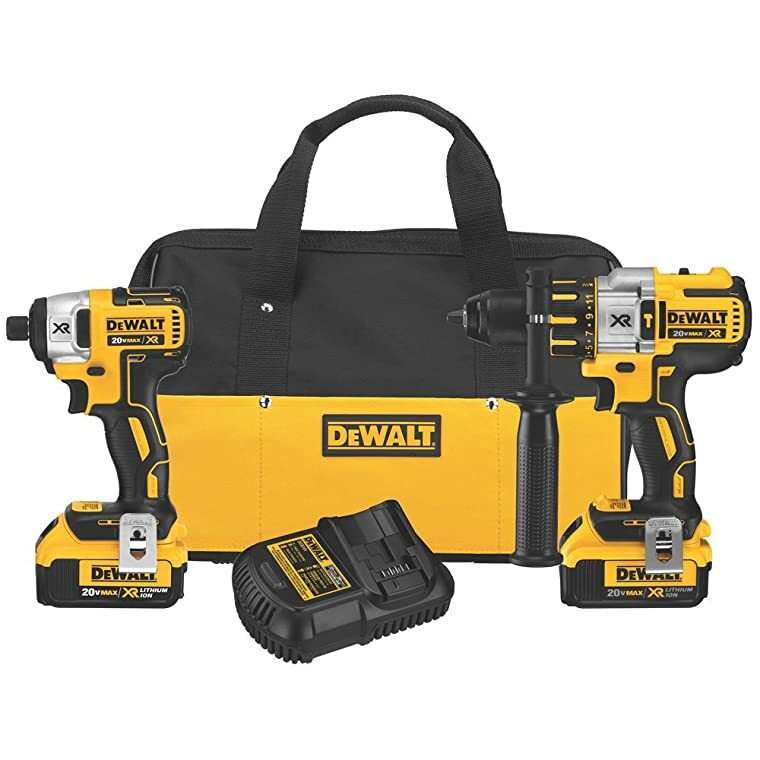 The best part of this combo kit is that you get a drill and an impact driver all in one. The extensive battery life is also a big plus since they are typically used for jobs that take a while. When the battery is fully charged, you can use it for up to a couple of days without having to recharge it, depending on the type of work that you have to do. One contractor even stated that he drove around 2,000 screws before he had to recharge! This is one of those tools where you have to respect the power that it offers. It will very rarely get jammed, which makes it useful for the professional and the weekend handyman. If you aren’t careful, the torque on this product will jerk your wrist pretty hard, so be sure to brace yourself when working with stubborn screws or bolts. The Dewalt DCK296M2 Premium Hammerdrill and Impact Driver Combo Kit is possibly the top rated impact driver available, even though the price is a little on the high side. Most people are willing to pay the price because the value they receive in return is worth it! 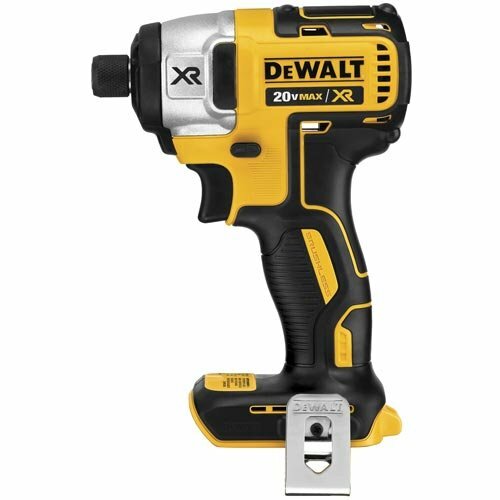 Dewalt is known for manufacturing some of the best power tools in the industry, and the Dewalt DCF886B Lithium Ion Brushless Impact Driver is no exception. This handy power tool is great for the weekend warrior that likes to take on different projects, or even the electrician that has to drive bolts and nuts in extreme weather conditions. The compact design of this impact driver may fool you, but the power that it exerts will quickly earn your respect. It can provide up to 125ft-lbs of max torque, which is pretty powerful when compared to other brushless models. The variable speed of up to 2,800 RPM is about average when compared to other impact drivers. The XR Lithium-ion batteries are designed to last longer than any competitive batteries, meaning you will be able to work longer without having to recharge. It has the ability and power to drive even the toughest screws into hardwood. And drilling through concrete and metal are like drilling through butter with the power that it provides. That type of power makes it versatile enough to use as a handyman that does random jobs or as a professional that uses an impact drill for a variety of tasks. Anytime you can work consistently without having to take a break to recharge the tool batteries is always a positive!Since this is not a variable speed drill/driver, you need to keep that in mind if you are screwing or extracting smaller screws or bolts. You have to be very careful when doing that; otherwise, the power may surprise you, and you could get injured. Someone doesn’t like it because it has not set speed. However, there’s a time and place for every tool, and sometimes this one is just a little more powerful that what you need it. 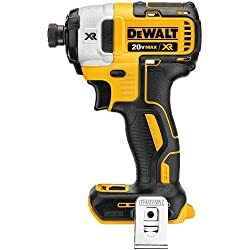 You can get the Dewalt DCF886B Lithium Ion Brushless Impact Driver at a pretty good price, but the battery is not included with the purchase. But don’t let that deter you from adding this impact driver to your collection. It will be one of the most dependable additions to your power tool collection and you won’t regret purchasing it when you try it out for the first time. 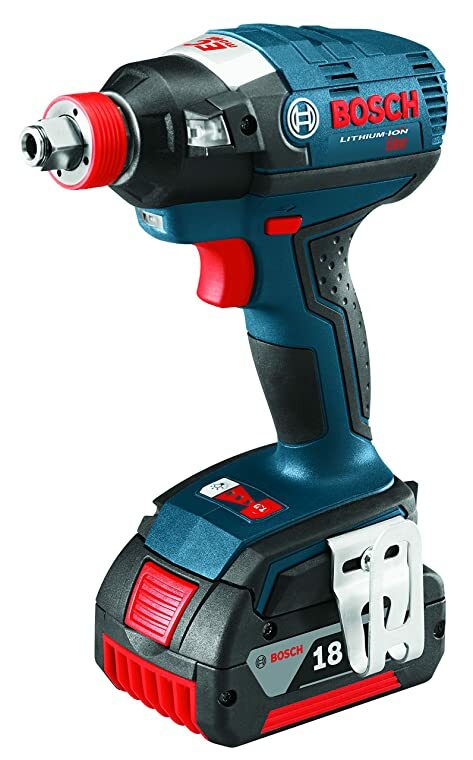 Bosch is one of the most respected brands in the power tool industry, and they are living up to their name with the Bosch IDH182-01L Brushless Socket Ready Impact Driver. This innovative impact driver has some of the best features that will allow you to get even the toughest jobs done quickly and efficiently. When compared to other impact drivers, this Bosch model has one of the highest maximum torque outputs at up to 1,650 inch-pounds. The maximum RPM is just about 2,800 and the brushless motor provides the ultimate efficiency and durability. When you pick up this impact driver, which weighs less than 4-pounds, you won’t think it can produce as much power as it does. However, when you use it for the first time, you will be surprised and impressed at how well it performs and how powerful it is when compared to other models. 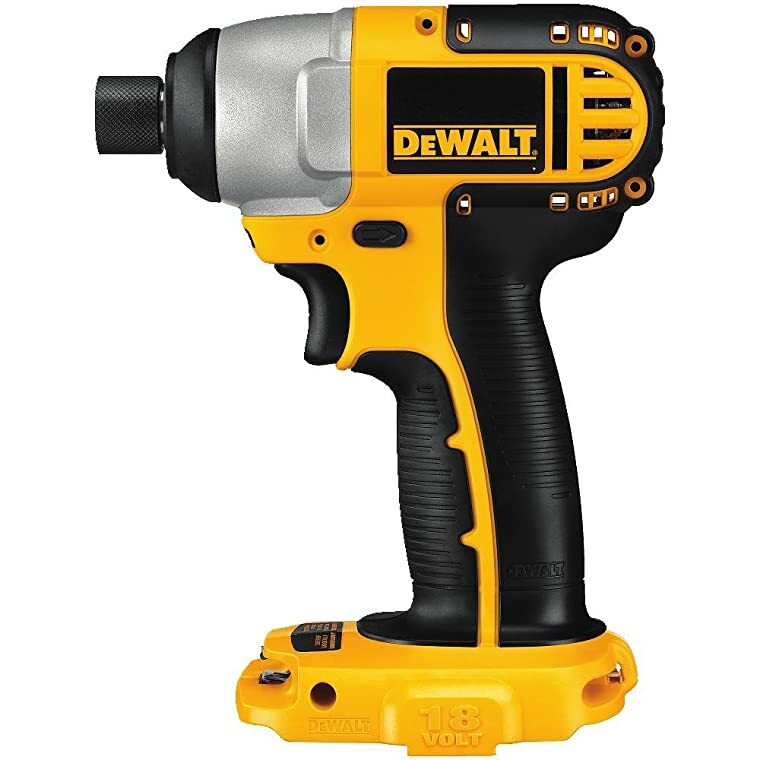 The power that this impact driver provides is unmatched when compared with many other models. It can be used for any job ranging from wood and metal fastening to decking jobs and even automotive jobs. It has been tested and proven to be able to remove lug nuts that are torqued to 100ft/lbs with ease. The battery life is one of the features that people really like about this impact driver. Depending on the type of work that you do, you might be able to use it for an entire day without recharging the battery or using a backup battery. It can easily screw in more than 1,000 screws in a deck on a single charge. You’re going to pay a little more for the Bosch IDH182-01L Brushless Socket Ready Impact Driver , but the quality you get in return is well worth it. 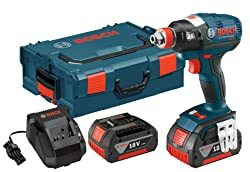 If you’re in need of a little extra power that your other tools in your shop may not have, then invest in this Bosch impact driver and you won’t regret it. Bosch model PS41-2A 12-Volt Max Lithium-Ion 1/4-In. Hex Impact Driver Kit comes with a precision speed of 0-2600 RPM and has a lightweight body. This makes it easy for you to use it for a long time without making you tired. The modern technology used in the making delivers a powerful impact and best results. The device is easy to handle and it has a LED mounted system, which allows working in low lighting areas. The streamlined design makes the device usable in different areas with ease. Moreover, the driver weighs two pounds making it one of the lightest drivers in the category. The driver has fuel gauge reader for easy monitoring and access while working. 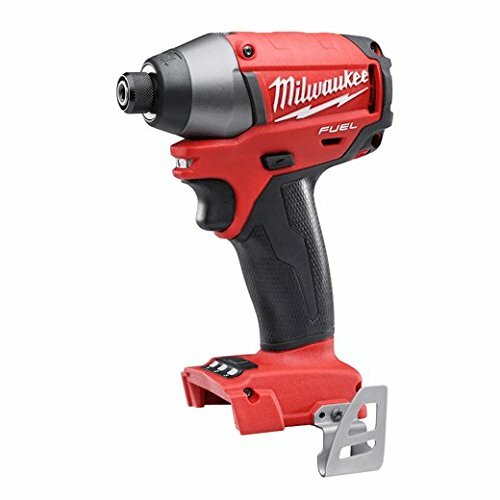 Milwaukee 2653-20 M18 FUEL ¼-inch Hex Impact Driver is one of the most powerful drivers in this category. It offers three times longer motor life and 50% more run time. Choosing hex driver delivers better power use and easy handling technique. The speed is adjustable, and the power state brushless motor delivers flawless performance. The driver uses red lithium compact battery pack with an extended life. The battery pack delivers more work or charge this is more run time than most of the competitors. You should not run out of battery charge while working especially if you are a contractor. The onboard fuel gauge allows you to determine how far the power is available. The time shows how long the device can perform. Besides, you want an impact driver that assures you safety. REDLINK PLUS intelligence is optimized to allow enhanced protection and high performance. If you are looking for a dynamic and a 55 % faster application speed then this hex impact driver is the best choice. Moreover, it comes with the lightweight and compact size. This allows you to work in tight areas while reducing fatigue. You should not stop working because there is natural light. With an inbuilt LED, your working area is fully illuminated. DEWALT DC825B 1/4-Inch 18-Volt Cordless Impact Driver is one of the best flameless drivers in the market. Dewalt is a company with many years of experience in heavy-duty equipment manufacturing. The driver has modern technology components and 20-volt maximum lithium battery. This lasts for a long duration even with tough jobs. The design of the equipment is modern with a casing. This helps prevents overloading and excess discharge. Moreover, it has a LED, which allows the user to make use of the equipment even in dark places. The driver comes with 1330 lbs of torque and can handle a wide range of fastening applications. The designers of the driver used the sleek yet efficient technique for making the device. This increases efficiency and reduces fatigue. Impact drivers are essential tools for any person looking to fasten different applications. It is important to understand various aspects regarding impact drivers. This helps in selecting the best impact driver. According to impact driver reviews, they weigh less than cordless drills. They are smaller in size since the drivers vary in size, price, power, and battery options. It is vital to have some of the top quality features to look out for when buying the tool. 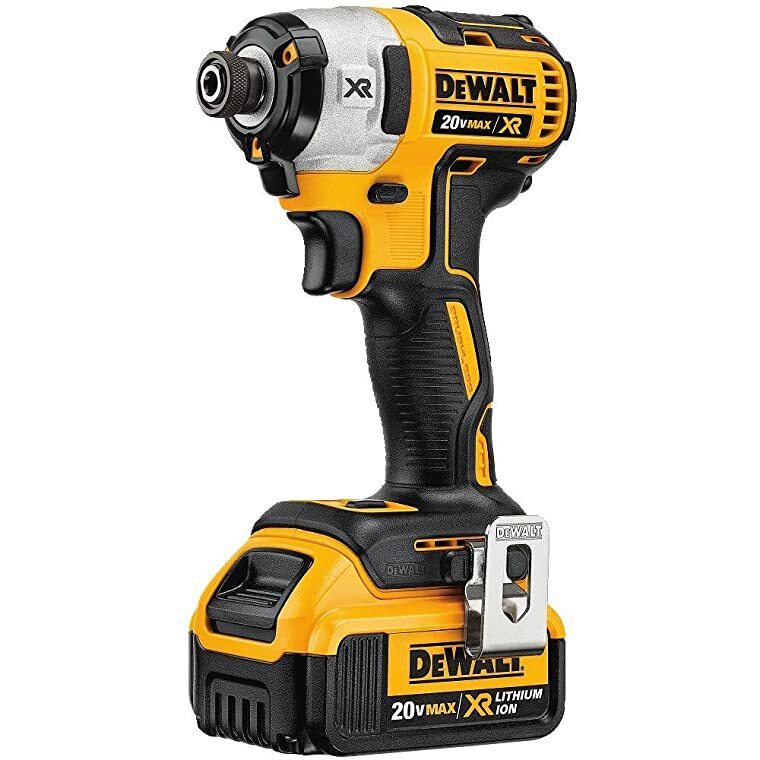 We listed the brands Dewalt, Makita, Porter-Cable, Milwaukee and Bosch because those are some of the most respected brands on the market when it comes to power tools. When talking about impact drivers, you are going to get some of the most durable and reliable tools if you stick with one of these brands. The good thing about them is that they are all equal when it comes to dependability, but they also manufacture products at different price points to fit the differing budgets among consumers. You don’t want to waste your time or money by buying a cheaper model of the impact driver. You are likely buying an impact driver to make your job easier, so now is not the time to be cheap. By spending more money on a quality brand, you will save more time, which will save money in the long run. 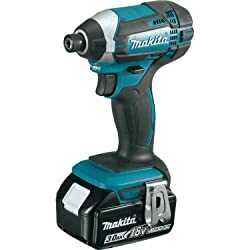 If you stick with one of the reputable brands that we mentioned, your level of frustration will be significantly lower because the impact driver will work how you want it to every time. As long as you do the little amount of maintenance that’s required and take care of it before, during and after you use it, then you should be able to have it for many years down the road. There are different impact drivers in the market. The first and most important factor to consider is the power or torque that the device evokes. Depending on the kind of activity, you can choose impact drivers ranging from 700 lbs to 1700 lbs. If you are in automotive industry, then a great and heavy-duty model is a perfect choice. 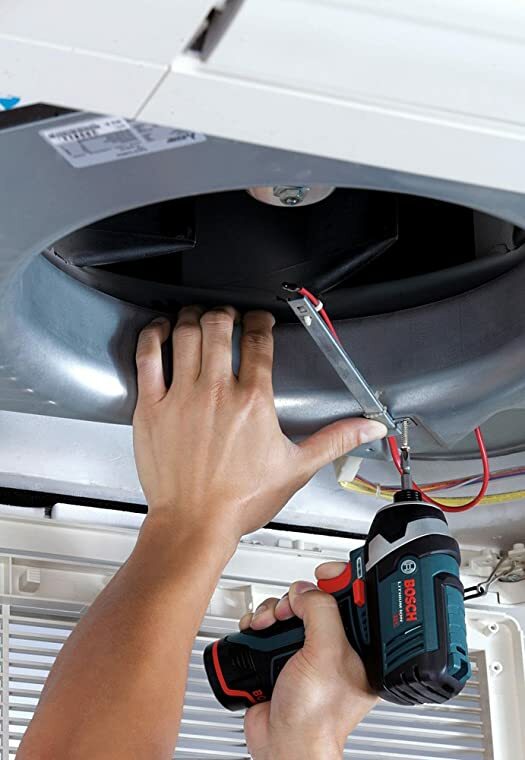 While for ordinary small jobs, a low torque driver is perfect. The speed of impact drivers usually measured in revolutions per minute (rpm). The impact speed is an important aspect when choosing the tool. If you are doing repetitive work then a high-speed driver is a perfect choice, while for less tasking jobs then a low-speed driver is the best option. In this case You should choose a impact driver has variable speed control function. The voltage of the impact drivers is the next essential aspect. With corded drivers, you will not have to recharge batteries. However, you are restricted to certain areas because the cord can tangle or fix itself in some areas. I would recommend that you look at the kind of job that you will be doing before choosing a driver. The higher voltage is higher the power and vice versa. Hence, depending on the job you can get a good driver for the right job. Battery life is one of the most important aspects. Without power, you cannot do anything. The type of the battery will determine the longevity of your activity. Long lasting batteries are vital for professionals who need long working hours. While regular batteries can be used for people, who want drivers for the just short period. Lithium –ion based batteries are the best option because of they last longer. The low weight and small size impact drivers are vital. Using a heavy impact driver for a long time may cause harm to your hands and wrists. Modern drivers are low in weight and small in size. Based on the kind of activity you can choose the right size with ease. When using any power tool for a long time, the hands can get blisters. It is essential to choose a driver, which is good for you palms and fingers. The handle of the driver needs to be anti-slip and comfortable enough for use for long houses. In any work, environment safety of the worker and the device in use is necessary. There are various tips for maintaining safety and increasing the durability of the device. Lack of following instructions has often led to damage of the tool and injuries to the user. It is important that you read manufacturer instructions. It helps you to get the best of the tool as well as enhance your safety. Instructions will have all the essential parts you may need replacement. With these instructions, you will know how to use the driver effectively. It will protect you from unexpected dangers. The manufacturer's guide will give you all the necessary information. When operating any machinery, it is important that you have protective gear. Keeping yourself safe is important for enhanced life. Gloves and eyewear are some of the essential equipment to have. They help in protecting the hands and the eyes when working as any injury or hazard may occur when working. Headgear can be essential if you are going to handle jobs that are over your head. Any machinery requires constant maintenance and repair. It helps for it to remain efficient and on top performance for a long time. Keep the driver clean and oiled as per the manual instructions. We have many types of the impact driver, you can read more information about Best cordless impact driver and best 18v impact driver or other you can read more best cordless impact wrench . Nothing makes a job easier than having the proper power tools that you can rely on. No matter how large or small your job is, an impact driver could be exactly what you need to get the job done! Since there are so many different options available to you, be sure and do your research, so you get the best impact driver that fits your situation. Do yourself a big favor and buy an impact driver today and you will make your life much easier when you take on your next project, and It is useful tool for both woodworking projects for beginners and professors. Jose A. Brown is a mechanic engineer and an enthusiastic blogger whose mission is to provide the readers with the best tips, guides in the Home Improvement, DIY Project, and Industry.